The purchase of a new gas furnace and its installation will run to several thousand dollars in many cases. It is imperative therefore that the buyer should carefully check prices from all suppliers, before a decision is made. The first thing to do is to look at all different makes of furnace which are available and to decide on which of them fits your needs the best. It is a good idea to shop online as well as to ask for prices from local dealers. Go online and search for reviews of the furnaces, to see what owners are saying about them. Read about all the features each model has. Then when you have decided on which model suits your needs check all local retailers, and get price quotes from them in writing--you will find that they may vary considerably. The next step is to go online go online and check the price with all suppliers of that particular make of furnace.. Ask for a quote on shipping charges and compare the total cost with local dealer prices. There is often a wide range of prices and you need not pay any more than necessary. The next cost to consider is that of installation. Some of your local dealers may give you a low price here when you buy the furnace from them. However if they are in their busy season they will most likely charge the top price for installation, even when you buy the furnace from them. You will need to hire an installer needless to say if you buy online, and the furnace is shipped to your home. Be wise here and have only a certified gas installation contractor install your furnace. If you do not do this, the installation may well be illegal, and your insurance company will not pay if you should have a fire. Be prudent, and have only a certified technician do the installation. This may cost a bit more but it will be done properly. Look at all the angles when you are buying a new furnace. 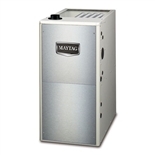 Make sure that you buy the best furnace, which has good user reviews online, and few complaints. If you find some negative reviews or many complaints in the comments, you would be well advised to settle on another make. Spend your money only after making certain that you are getting the best buy. Natural gas furnace prices are highly competitive with online dealers. To get a really good price check all available online suppliers, and also those in your own locality. Remember to take into account the shipping costs which you incur by buying online, and add this to the buying price to get the final cost. The gas furnace must be installed using a licensed contractor, who has the proper licence for gas installation. If you purchase from a local dealer and they also install, the installation cost (and hence the total installed cost) could well be less than if you buy online, and have a licensed contractor do the installation. All these factors should be taken into account in making the decision to purchase a natural gas furnace either locally or online. I'm really glad that these gas furnaces are becoming more efficient and helping to lower our energy bill. Thanks for all of the tips and the video. Great work.